Our eyes met across an East Vancouver alleyway. I was out for a pre-coffee, early morning stroll, when my eyes fell upon it in a neighbour’s backyard. I fell in love, suddenly and completely. I’m not sure how this happened after so many years of gardening and countless hours in botanical gardens and gardening centres, but somehow I’ve never noticed this plant until yesterday. Now I can’t rest until I find a spot for a clump in my garden. 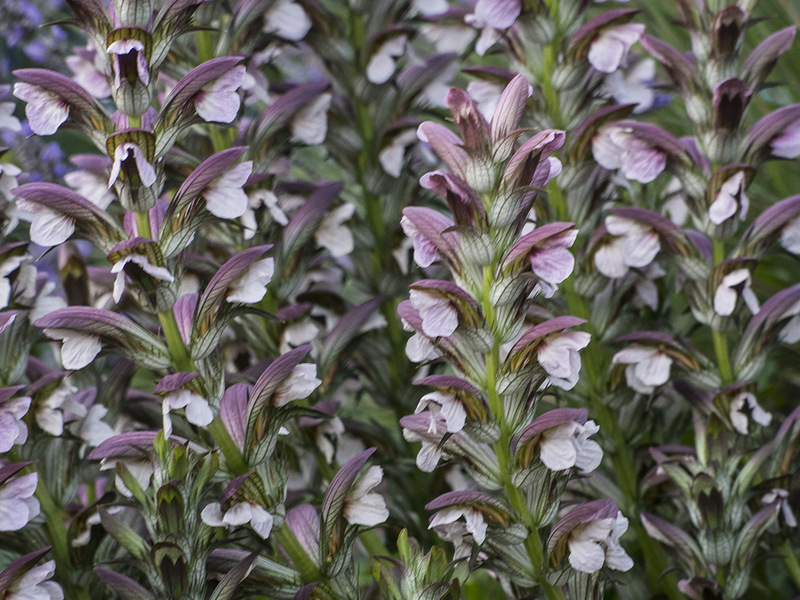 The subject of my new obsession is Acanthus mollis, or Bear’s Breeches. It’s a native of the Mediterranean region, so it’s going to need a sunny site. The leaves of this wonderfully sculptural plant inspired a lot of ancient Greek architectural detail, a distinctive detail of Corinthian columns. The curious common name, Bear’s Breeches, is a little hard to figure out. In the 17th century they were called Brank-ursine, meaning bear’s claws, possibly referring to the shape of the flowers. Another theory is that “breeches” refers, not to ursine trousers, but rather breech in the sense of the opening in the flowers that the bees use to access the pollen inside. I have also read that the flowers can look (presumably after a few gin and tonics) like hairy bear’s hindquarters. 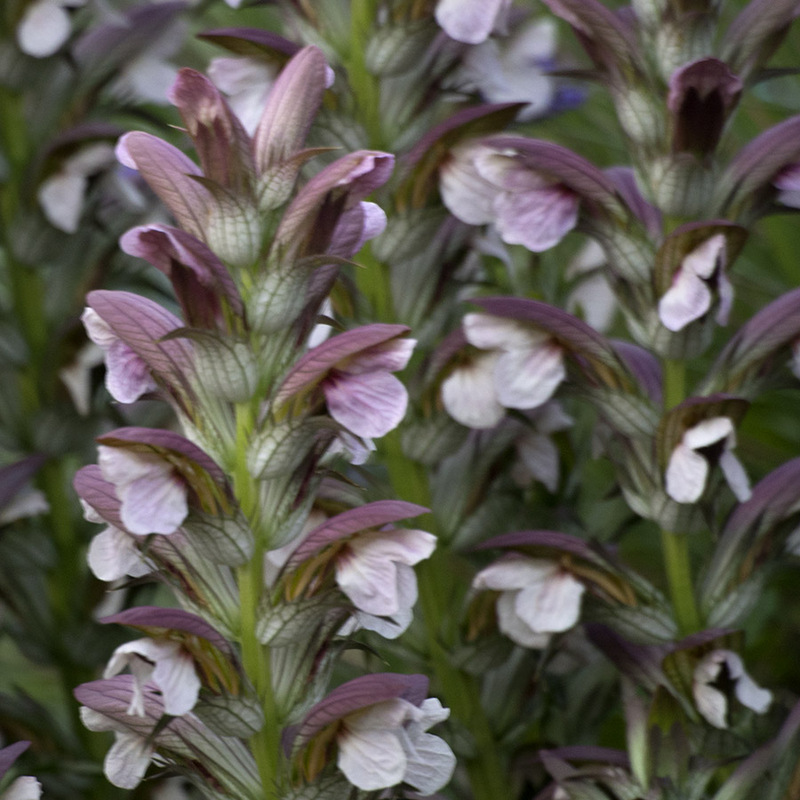 Let’s just say that the curious common name remains shrouded in mystery. So, bees love it, it’s gorgeous and the leaves have quite a few application in herbal remedies. The only possible downside is that it can be a tad invasive. So now the hunt is on for a nice container to grow some in. Then it will be time to sit back and admire it in my own garden. Perhaps have a few gin and tonics and see if the meaning behind the Bear’s Breeches name is revealed!